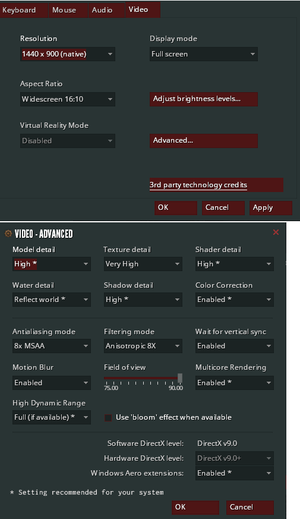 HBAO and Depth of Field are only available on Nvidia graphics cards. Add -noborder to the launch options of the game. Buttons can be rebound directly in Keyboard menu. Axis can be changed using joy_advaxis commands. 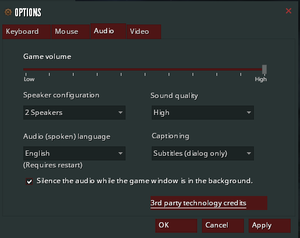 Slider for a game volume. Music volume can be changed using snd_musicvolume X console command. DK2 only - currently broken. LibOVRWrapper might work for this game.